Victory is so much sweeter with your bestie by your side! 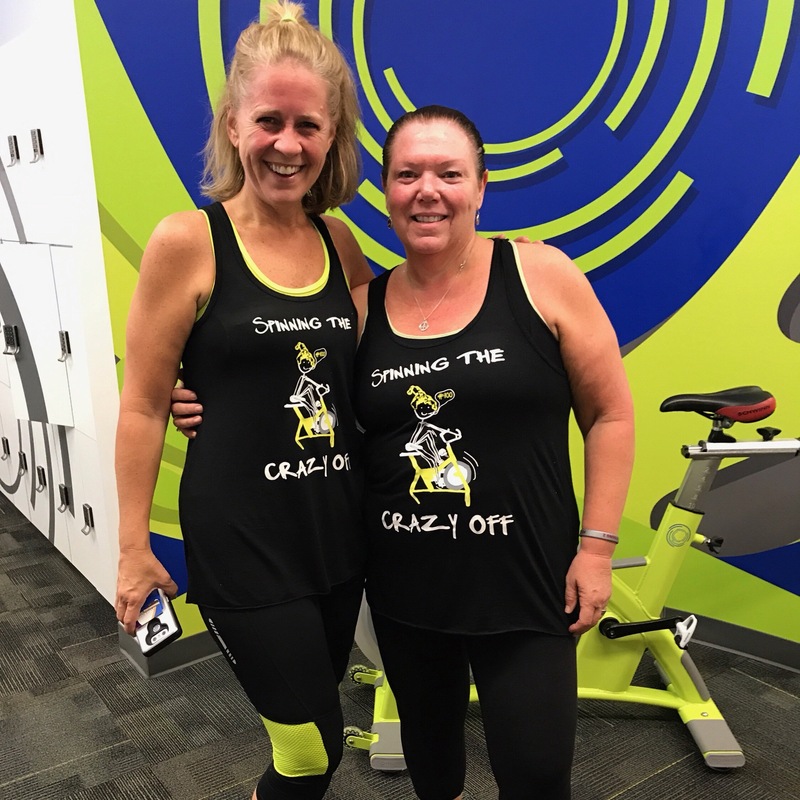 ZYN22SLK riders Lori and Shonda have been BFF’s for years, but tapping it back together 100 TIMES has taken their friendship to a whole new level. Read how they held each other accountable to put fitness first below! How did you two meet? Were you besties before you started riding at ZYN22? As is with a lot of young moms, we became friends on the sidelines of a 4-year-old’s soccer game! Our boys were on the same team which meant that we had lots of time at practice and games for many years to get to know each other. Although our boys went on to different sports, we remained dear friends for the past 20 years. Lori and her husband had been cycling indoor and outdoor for a while. I was sort of “anti-bike riding.” It seemed like a pretty boring way to exercise and I hadn’t been on a bike for years. Lori convinced me that the lavender towels were amazing – and what the heck, the first ride was free! Of all the feelings I had on that first ride, “boring” wasn’t one of them! And the lavender towels were indeed amazing! Congrats on 100 RIDES! That is a huge accomplishment- how did you help each other hit that goal? I don’t think either of us realized we were approaching our 100th ride until #90 or so. Then we checked our log-ins and realized we were only one ride apart. We’ve been having so much fun going 3 – 4 times per week together! More than competitive, we’ve become supportive and accountable. There have been days that I don’t feel like getting out of bed, but knowing that Lori was counting on me, I made the effort. ZYN22 has become our time to focus on ourselves, and support one another’s goal of fitness. Why is it important to have an accountability buddy? Having accountability helps us to set reasonable goals, push ourselves, and gives us the support to get through the tough days. It’s easy to give yourself and excuse, or worse – get down on ourselves for not being perfect. But having a close friend who both keeps you honest, as well as picks you up on the bad days makes the experience more fun and impactful. How does riding with a friend by your side make your experience in the Dome better? I love having my BFF on the bike next to me. We don’t compete necessarily, but doing the same class with each other, we get to compare notes. She tells me things she has done to get even more out of the class, tips, etc. When something doesn’t feel right, or I need an extra challenge, we are able to give each other ideas on how to improve. What’s your favorite thing about the ZYN22 community? We love the staff and the instructors! There is an energy at ZYN22 that is contagious. People seem to really enjoy each other. We love walking in the door and the staff already have our shoes ready and seem genuinely glad to see us. It’s also a lot of fun to see the special events that come out every couple of weeks. We enjoy trying the new partnerships, and the theme rides! How has riding together at ZYN22 impacted your friendship? After 20 years of friendship, we’ve raised our kids together, we’ve grown our careers, we’ve been through good times and not so great… we have been through a lot together. But now that our families are growing up, it’s time that we focus on ourselves and our fitness. Being 50 has its own set of challenges, so having a buddy who understands help you along the path is priceless!